Nevada’s nickname is “The Silver State,” and is home to a casino resort on my list of favorite places to stay and play…The Silver Legacy Resort Casino in Reno. Hotels have their own personality so, after my speedy check-in, I wandered around to catch the vibe. I discovered restaurants, shops, entertainment venues, bars/nightclubs, the casino, race/sports book, and the poker room. I stopped by the Player’s Booth and signed up for ONE Club. Think of it as a frequent flyer program for the resort, providing benefits for slot play, dining, accommodations, special offers, etc. One of my discoveries was walking from the Silver Legacy’s lobby to its Mezzanine (can’t miss it, there is a three story high mining rig! ); if you turn left you can amble over to Circus, Circus, and heading right leads you to the Eldorado. They are connected indoors, tripling your opportunities for fun. Pick up a Resort Passport which contains $125 in discounts for entertainment, drinks, shows, massages, food, and gaming for all three properties (they are owned by the same company). There’s something for everyone: over 1,200 slots, 85 table games, including Pai Gow, a new race/sports book, and keno. The real reason for my visit was to check out Silver Legacy’s new $1.8 poker room, which is part of an overall $50 million dollar resort renovation plan. 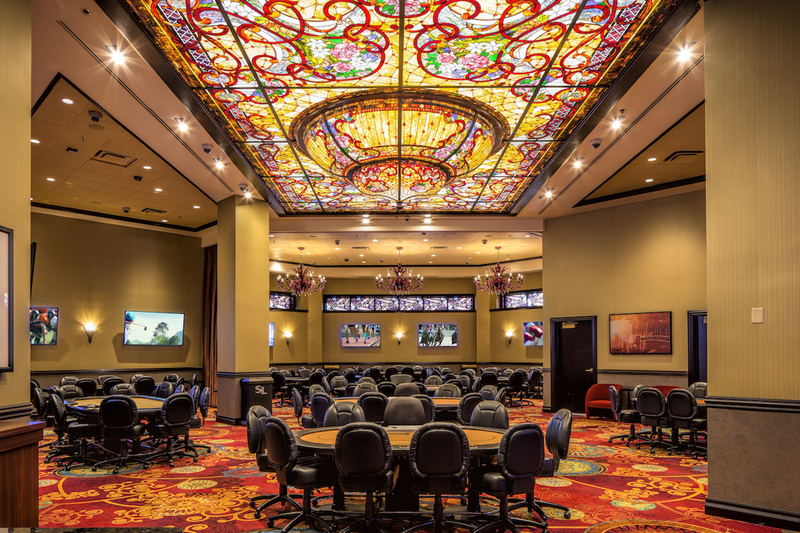 Newly located in the main casino, it is open 24 hours, is non-smoking, and features daily Hold ‘em tournaments, as well as limit and no-limit cash games. Note: they serve great free donuts and coffee in the morning. The legendary Margie Heintz runs the poker room. Margie started dealing when Montana first legalized gambling. She is a link to the golden days in Las Vegas, where she was the first woman invited to deal at the World Series of Poker in 1977 by gaming icon Benny Binion. Margie knew the early legends: Bill Boyd, Jack Strauss, Puggy Pearson, Johnny Moss, Amarillo Slim, and Texas Dolly – Doyle Brunson. In 2011, she was deservedly elected to the Women’s Poker Hall of Fame. 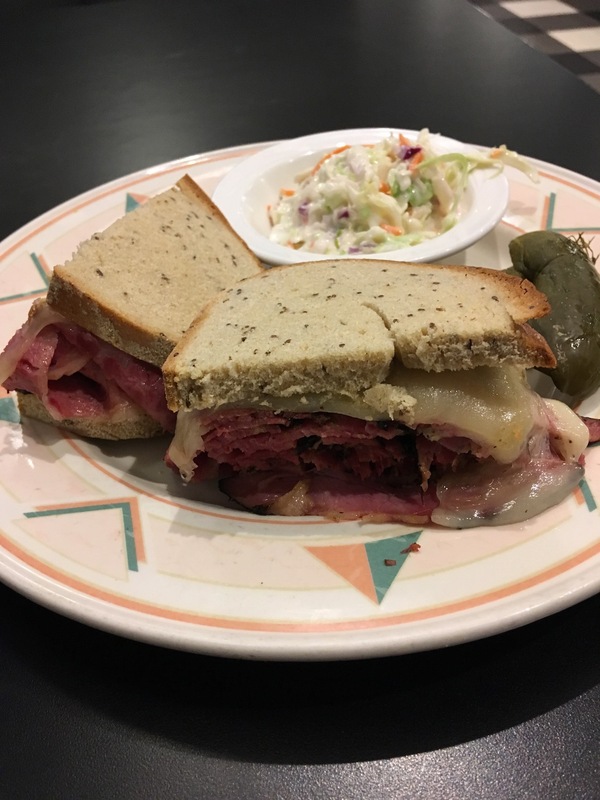 Canter’s, an LA iconic classic deli, is located next to the poker room and is new to Reno. It showcases an extensive menu, but stick to the award-winning pastrami, house-made pickles, and freshly baked breads and pastries. Eating at the Pearl Oyster Bar and Grill is a must. Their seafood specialties include crab cakes, cioppino, and pan roasts. You can’t go wrong with the daily lunch specials or soup/sandwich combinations. At dinner, its location on the Mezzanine makes it a perfect spot to sip a glass of wine and people watch. 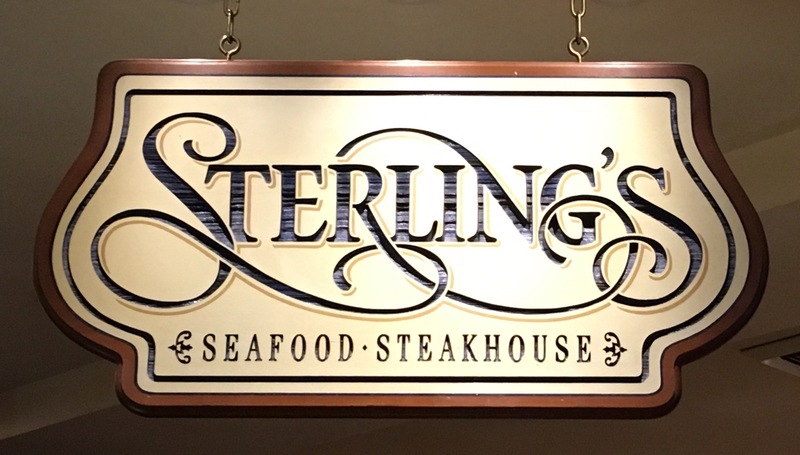 The early dinner menu at the classy, award-winning Sterling’s Seafood Steakhouse lived up to my expectations. My dining experience started with a house salad served with freshly baked bread, followed by a perfectly prepared beef tenderloin stroganoff, finishing with homemade praline pecan cheesecake. It’s quite a bargain for $27. They also have special pricing for wine by the glass. Other food outlets include Flavors Buffet, Cafe Central, Starbucks, and Sips Coffee and Tea. 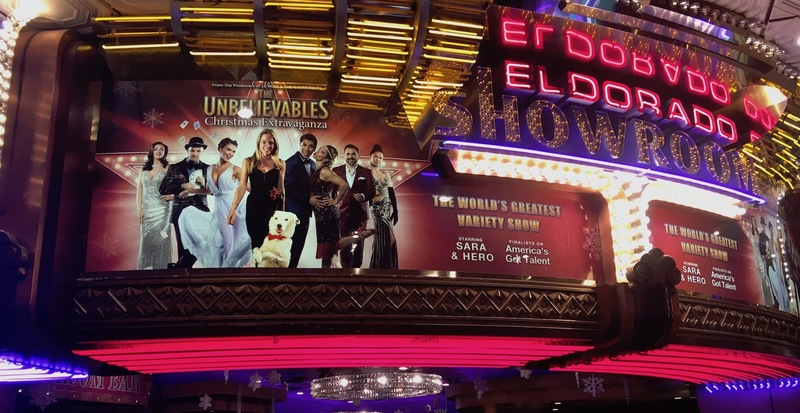 Between Silver Legacy, Circus Circus, and Eldorado, the entertainment choices are endless; midway acts, the Laugh Factory, music, and best of all, the Eldorado Theater. 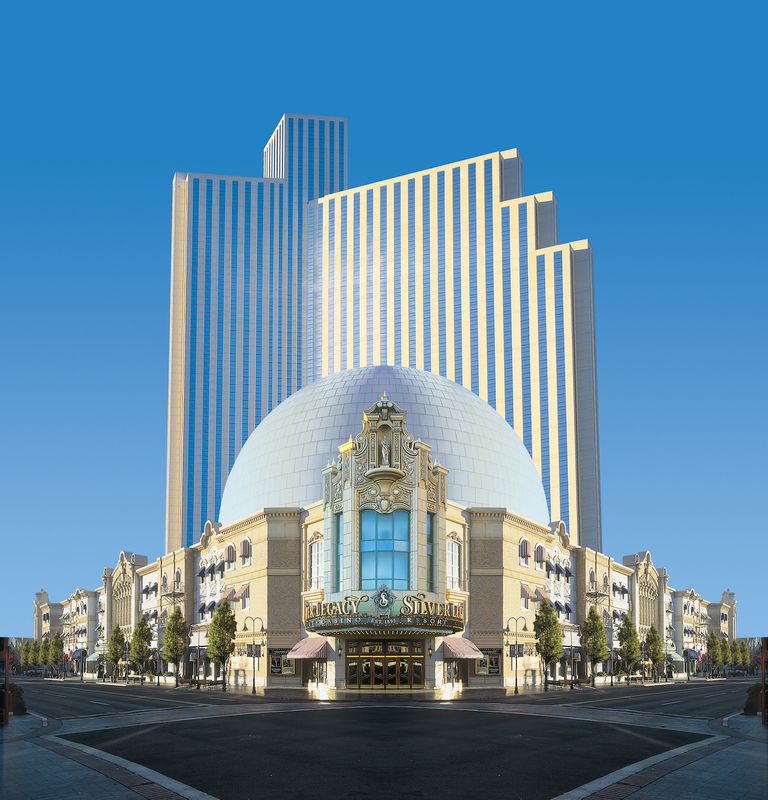 The 580 seat, state-of-the-art showroom features top entertainers, as well as Broadway style extravaganzas. For more information and reservations, including discounts and specials, logon to www.SilverLegacyReno.com or call 1-800-687-8733. This entry was posted in Nevada, Poker and tagged casino, poker, reno, resort, silver legacy. Bookmark the permalink.